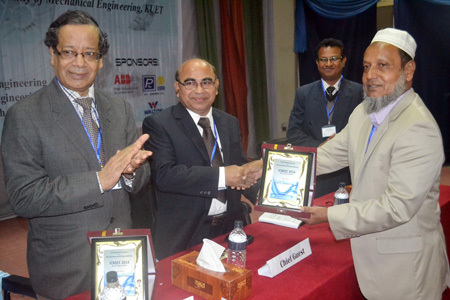 Two day long 3rd International Conference on Mechanical, Industrial and Energy Engineering (ICMIEE)-2014 was held at Khulna University of Engineering & Technology (KUET) on 26 & 27 December. 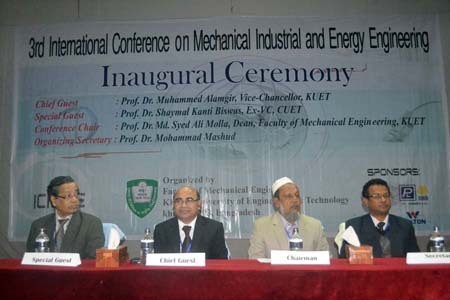 Faculty of Mechanical Engineering of KUET has been organized the conference to share knowledge and experiences at international level to develop new ideas about proper utilize of Mechanical Engineering facilities through use of modern science and technologies. 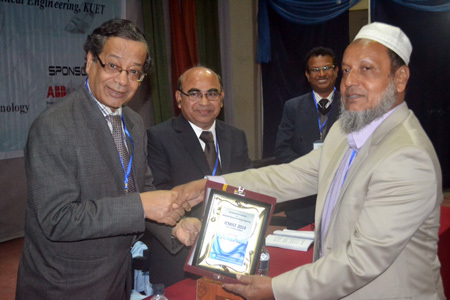 Vice-Chancellor of KUET Prof. Dr. Muhammed Alamgir present the Inaugural Ceremony as the Chief Guest on 26 December at 9 a.m.. Former Vice-Chancellor of Chittagong University of Engineering and Technology (CUET) Shyamol Kanti Biswas was present as special guest. 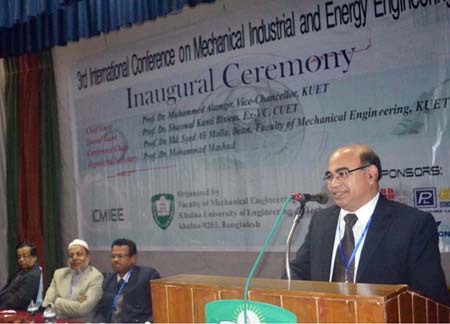 Chairman of the organising committee, also Dean of Mechanical Engineering of KUET Prof. Dr. Syed Ali Molla presided over the opening session. 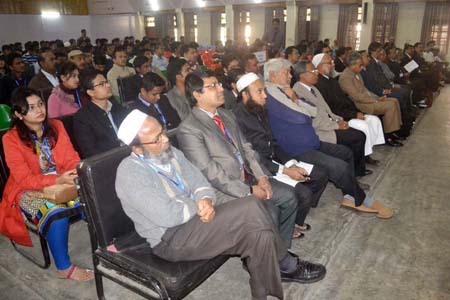 Over a hundred of eminent scientists, engineers, researchers and scholars from different universities from home and abroad including USA, China, Canada, Saudi Arabia, India, Malaysia, Australia and deans of different faculties of KUET have been participating in the two day long conference.